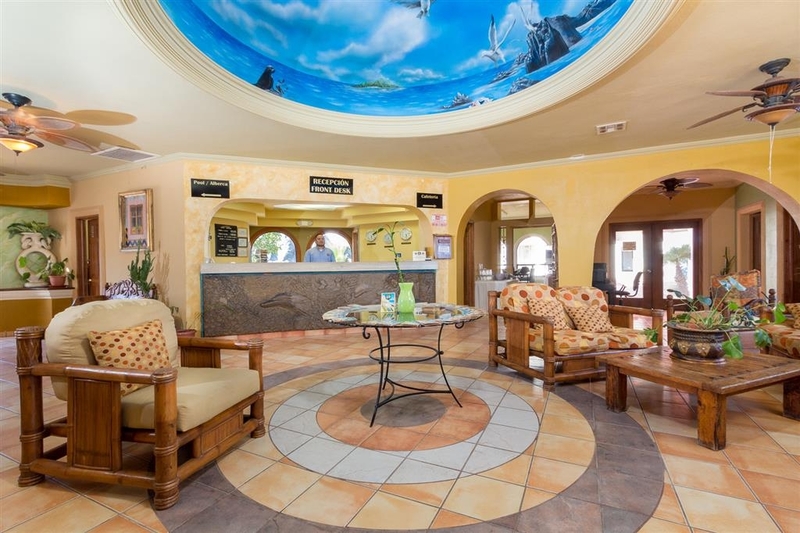 Das Best Western Laos Mar Hotel & Suites ist ideal in Puerto Penasco Stadtzentrum zu finden. Erleben Sie ein schöner Aufenthalt in der Nähe von alle Sehenswurdigkeiten. Bestpreisgarantie und exklusive Angebote. Puerto Peñasco liegt nur eine Stunde von der Grenze zu Arizona entfernt, zwischen dem Cortez-Meer und der Großen Altarwüste. Besucher erwarten spektakuläre Sonnenuntergänge über einer Region, die Jacques Cousteau einst „das Aquarium der Welt“ nannte. Im nahe gelegenen Pinacate-Biosphärenreservat, das in die Liste der Unesco-Welterbestätten aufgenommen wurde, können Sie Wüstenlandschaften erkunden. In der Region bieten sich zahlreiche Möglichkeiten für Aktivurlauber, ob zu Land, zu Wasser, in der Luft aus dem Blickwinkel eines Ultraleichtflugzeugs oder auf einem der drei Meisterschaftsgolfplätze der Gegend. Das einst malerische Fischereigebiet erfreut sich dank der Nähe zu den USA wachsender Beliebtheit. Das Laos Mar Best Western bietet 91 gut ausgestattete Zimmer, alle mit Blick auf die Wüste oder das Meer, einen kristallklaren Swimmingpool mit Wasserfall, Jacuzzi und Palapa-Bar. Laos Mar bietet 7 Suiten mit Kochnischen, ausgestattet mit Kühlschrank, Mikrowelle, Kaffeemaschine und Toaster, einem Schlafsofa und einem zweiten Schlafzimmer mit Queensize-Betten. Alle Zimmer verfügen über Haarfön, Bügeleisen/Bügelbrett und gereinigtes Wasser, Klimaanlage, Heizung und Satellitenfernsehen. Fernseher mit kostenlosem HBO, CNN, ESPN usw. Kein Fahrstuhl, Hotelpage rund um die Uhr verfügbar. Genießen Sie Ihren Aufenthalt! "This is a hostal for springbreakers, not a Best Western"
I spent 3 nights in this hotel, alone, and I came to do sightseeing. +: nice swimming pool, free coffee in the room, free parking space -: a lot of noise: there is a bar in the hotel and they were playing very loud music until 1am on Friday, when I arrived. Then the other guests put a loudspeaker in the swimming pool with full volume during the better part of the afternoon, and others at night. unfriendly staff: I asked to change rooms to be on the side of the building not facing the bar, but there was apparently no available room (I've barely seen 10 people and half as many cars in the hotel...) and when I asked how I was supposed to sleep, the receptionist said: "well, it's a bar, there is nothing we can do" and hung up. Also, they ask you to wear a yellow wristband at all time and scowl you when you don't. Supposedly it's to prevent people to enter the hotel, but I'm guessing if someone really wants to come in, he can find a yellow paper wristband somewhere else... No safe in the room, you have to leave your things at the reception... No fridge either; the plumbery seems to either have been done by a poorly skilled apprentice or to be a few decades old My room smelled as if a dead animal had been in there for several days (before I even entered) Breakfast from 7am to 9am (a bit narrow range). Tried to enter at 9.02, impossible. The staff at the front desk were very good, other than that it is not good at all!!! No refrigerators in the room and no ice machines. We were hoping to have some relaxing time in the hot tub but the same two men on their honeymoon did not leave for over 6 hours and brought their cooler and party with them. Felt sorry for any families hoping to have some time by the pool as the party got louder and more obnoxious. No security to shut them down or lay any rules. Would not visit this Best Western again. DO NOT STAY HERE. pay the extra money to stay at a resort. not worth not having ur own privacy. The security is complete sh*t. They have security falling asleep at the gate. The rooms have no refrigerator. If you're looking to stay at a good hotel its not here, look else where. The hotel is pretty but isolated. The walls are very thin so we could hear the people in the other room snore. We a nice view of the beach and it's close to walking. However, we were not comfortable walking at night in the place. The bar was nice and has live music. They try to have a nice breakfast but unfortunately have eggs with hot dog sausage every morning. The hallways have a strong smell of disinfectants all the time. "Wish I Could Say "We Loved It" - But We Didn't"
Maybe it was because our visit was off season but we were terribly disappointed. Moved from oceanview room due to uncomfortable beds, loud neighbors, and a phone that didn't work - which is a bit scary when someone is banging on your downstairs neighbor's door in the wee hours and you can't reach the front desk on the first couple tries. 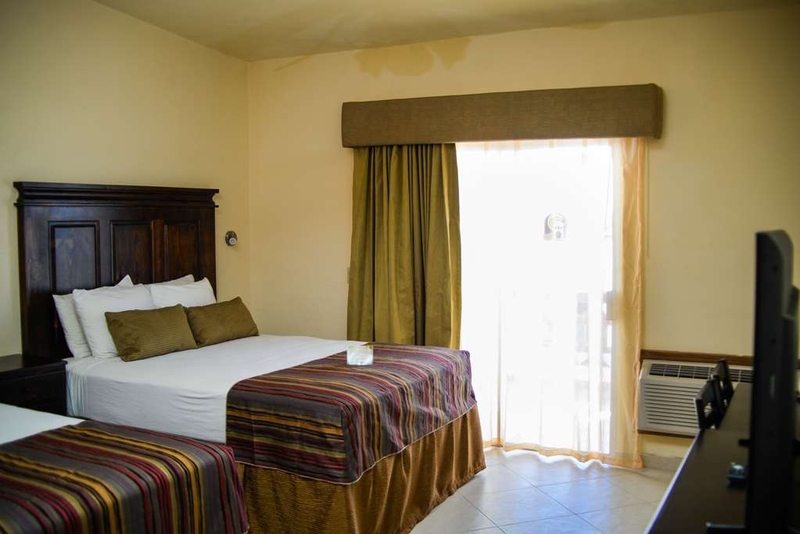 The beds in the next room were more comfortable but the heater was erratic and when we called the front desk for an extra blanket (hold your judgment, Rocky Point in December gets cold for an Arizona girl! ), we were told all the extra blankets were either out or in a locked housekeeping closet! The guy who checked us in was fluent in English and a little charming but he flaked on us - agreeing to check on excursions and make a dinner reservation but never got back to us on the fun and the restaurant had no record of our reservation. "Don't Stay Here if you want a great vacation"
At the on-set the rude front desk attendant said there were no rooms with a view ready (at 4:00 p.m.) We could see there were hardly any guests or cars (actually the entire time just a few people were at this hotel.... then he tells us the Travelocity price is wrong. It's now $40.00 more. There was a moldy odor in the lobby and in our room. The shower curtain was 4 inches too short so impossible to not get the floor wet even with towels. So walking very slowly and carefully the tile was sooo slippery I fall on my back... so if this isn't enough,coming back from dinner security stops us coming in asking were are our "wrist bands" we said we were not given any "wrist bands" security guy says I am not letting you go to your room. He escorts us to the front desk. We ask the rude attendant if we needed a wrist band why didn't you give us one 2 days ago when we checked in he says "you didn't want one". Omg are you kidding me... he starts laughing. At this point we are not happy. This hotel is a JOKE. So when we check out the next day the front desk informs us we are not getting our deposit back cause there is makeup on a towel. I guess this hotel doesn't believe in hot water and bleach. Do yourself a favor and pay a little more and stay at a higher end hotel or resort that cares about their guest. "What does Laos Mar mean, Laotion Sea?" 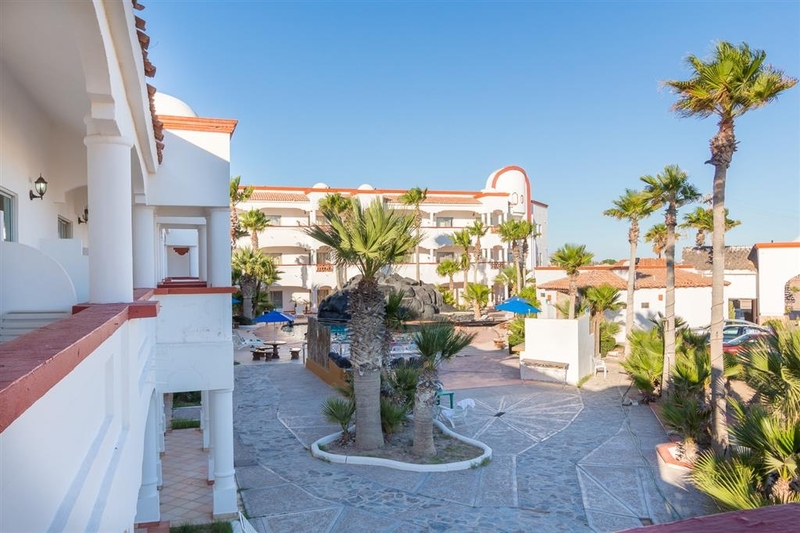 Not disappointing but not deluxe either, rooms acceptable, a little out of the way for the downtown area of Penasco, balcony nice but no furniture, no fridge, no lounge, no restaurant, advertised Wi-fi but none that was accessible. Maybe the deluxe rooms got it but we in the cheap seats were denied. Breakfast was minimal but good, in fact very good. Staff nice, rooms clean, there is a bit of sand. My issue is that for the price, it is not great value. We loved our stay at the BW Laos Mar! 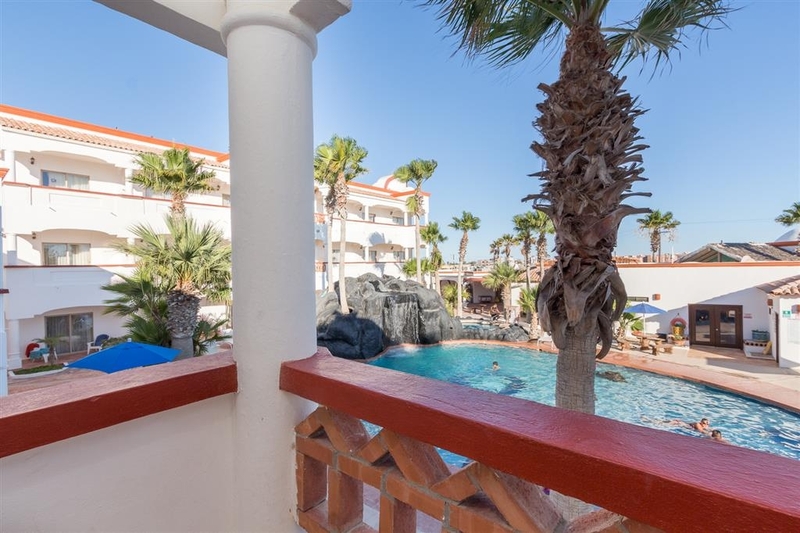 Just a few steps from a beautiful sandy beach, a delicious breakfast included in the price, a nice pool and very friendly hotel staff. 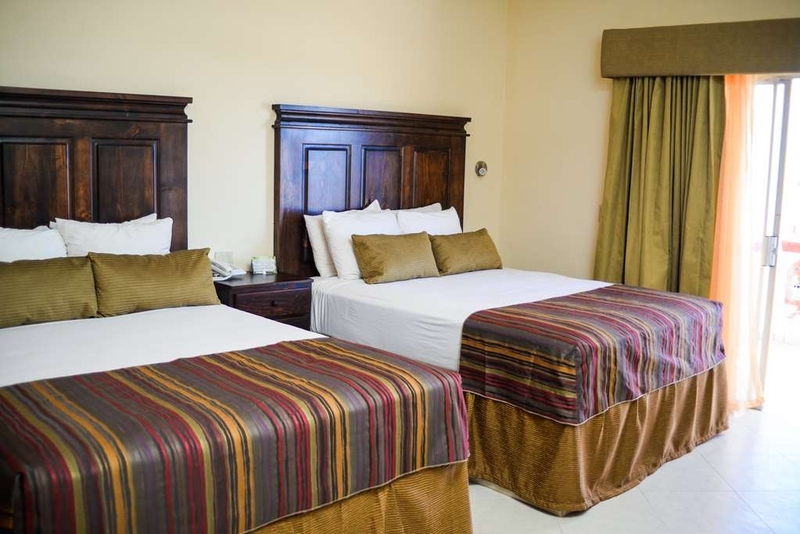 The rooms are really nice and clean, and mattresses very comfortable. TV and A/C in the room, but no refrigerator. There's a $20 deposit that is returned to the customer at checkout, which is much lower than what most resort-condo owners ask! 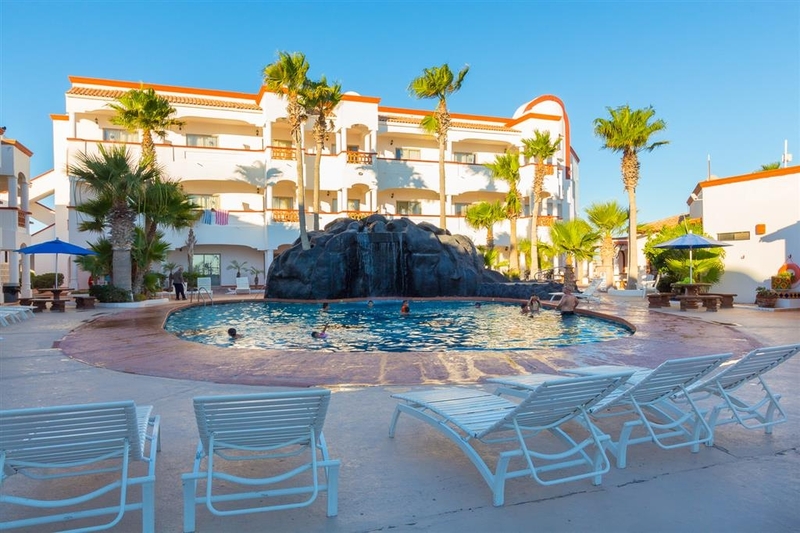 For the reasonable price and what it offers, this hotel is the absolute best choice at Puerto Penasco! To start out the Hotel is under renovation, so expect to see and hear workers and equipment around the facility. The Hotel is definitely dated, and it shows in our room that we rented. The AC kept up fine, the sink was clogged, the sink counter top (front facing side) fell to the ground at 3am when we were sleeping (no joke) and the carpet was shot (my wife would not walk in the room without sandals). The wi-fi is shared for the entire hotel, so if you are not around the router / hotel entrance, forget about using it. Everyone is trying to stream, or consume high bandwidth which is a killer for those who need it for work. The free breakfast was what you would expect for a continental, and is quite packed as you need to eat the food in the breakfast area (seats maybe 30). 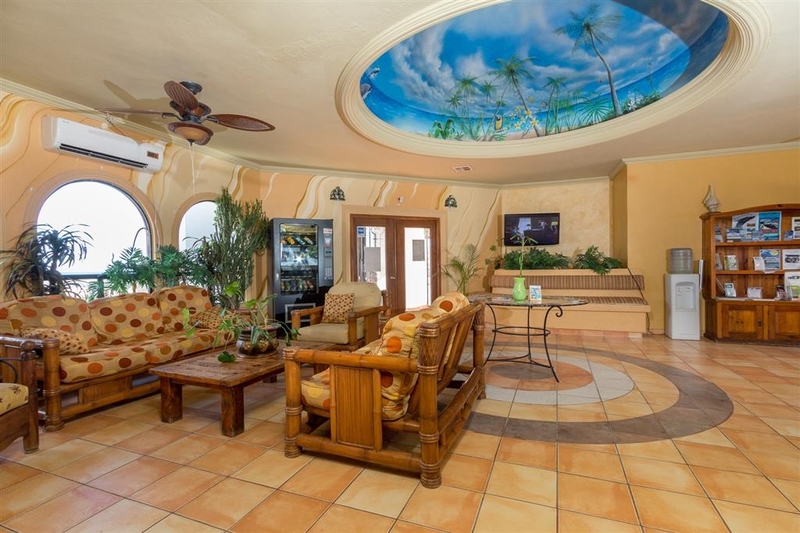 The location is great for the beach, walk right out front and across an empty sand lot to the beach. The staff was great and helpful, very nice people! The pool was nice, but was full of kids (great for families) so you had to find a time when it was semi-vacant to relax without the kids cannonball competition. 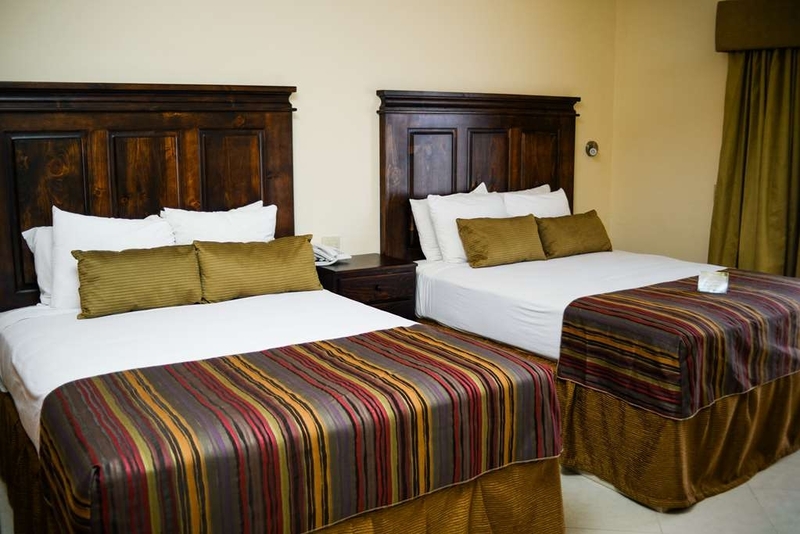 Overall a older hotel that is undergoing renovation, with a great friendly staff in a good location. You can get a whole lot more for a few more dollars at other resorts. 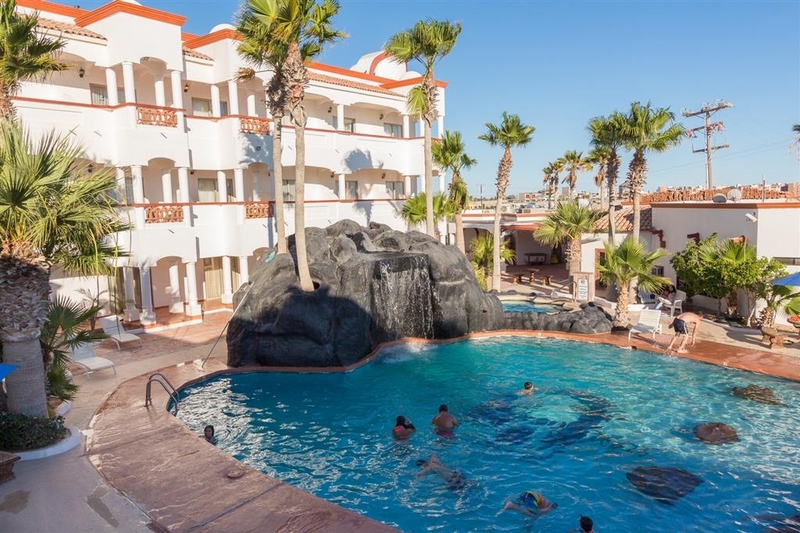 overall the hotel was wonderful staff the best and super clean and the sucurity in the hotel and the pool was always clean and the breakfast and the parking was great and the beach right acroos street from the hotel we are thinking going back next year and we will staying in best western. Breakfast was really good, area was really close to the beach. I would recommend staying at this hotel they also have a nice pool excellent view. Overall it was a very pleasant stay. Would definitely stay again. The room was nice, they do not have king size beds and their queens are not queen size. They claim to have WiFi and I even asked if they are sure the WiFi works so I could use email. Not a chance, they even moved me a room that they said would work and nothing. Do not expect WiFi if staying there. Also there has been construction going on at this hotel for over a year, wondering if they will ever get it done. Pool was ok and the breakfast was terrible. Some hot food but didn't recognize it so didn't eat it. Fresh fruit ok, muffins were dry, coffee was weak and they treat their breakfast like it was cold. They issue you a ticket then make you sign and return the ticket. What a joke, lots better for only a few dollars. Never went back the other days. Room was spacious, clean, but halls were very noisy. Breakfast buffet is not does not stay until displayed schedules. For example Sunday its supposed to be from 6 to 11. My family and I went down stairs at 9:30 it was all gone and they said they weren't planning on refilling the serving trays. Very disappointing. Front desk services just ok as well. Did not realize that it was all Spanish hotel and TV! Very, very clean. Band in the bar, very LOUD! Could hear in the room. Quit around 1 or 2 in the morning! Continental breakfast, all Mexican food. It was a nice hotel but not for us. "Under repair and very much needed"
"First class at a reasonable rate"
I stayed at the hotel this past December. Beautiful and well kept facilities with a great tapas bar. The staff was polite and helpful and took care of a slight change that was necessary. 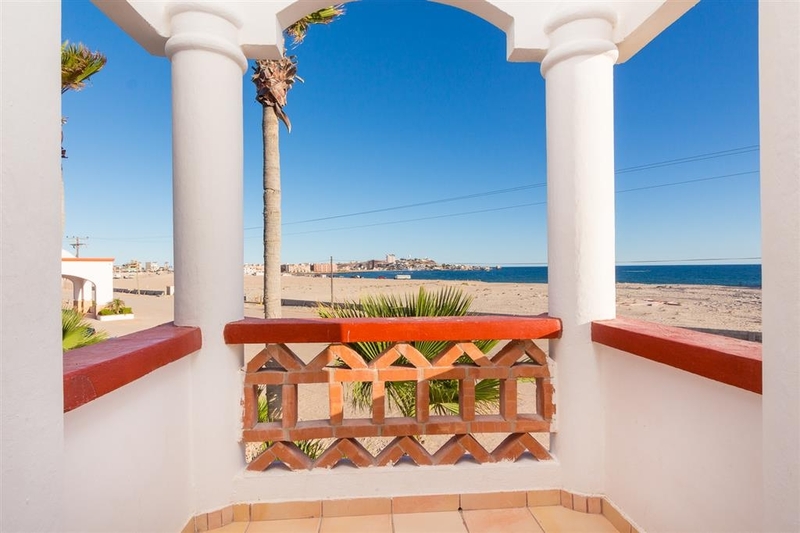 Great location-- a few hundred yards stroll from the best beach in Puerto Penasco. Definitely will return. "Great hotel on the beach"
Short walk to the shoreline... Can see the ocean from many of the rooms. Rooms are nicely remodeled. Beds are hard (better than too soft). Breakfast has a mixture of hot and cold choices. Live music on the weekends (which is played till 2 am). Great value for the price. 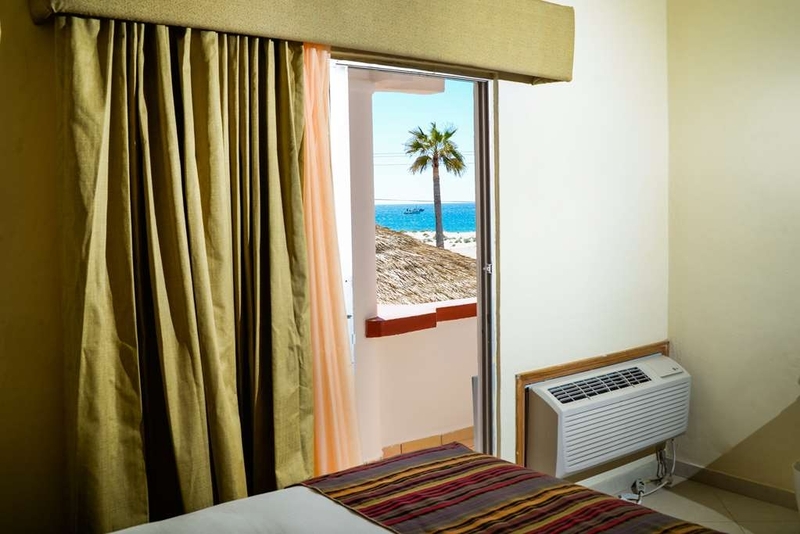 "Clean & Modern Rooms, Friendly Staff, and ON THE BEACH!" We have stayed at this hotel twice now for long weekends and both times we have really enjoyed our stay. There is a free parking lot for guests, the hotel is on the beach (you have to walk down to the sea through sand, but it's perfectly located. The hotel is a little more private, and while still on the main hotel drag, it's down a bit further and a little closer to town than the other, more luxury hotels. 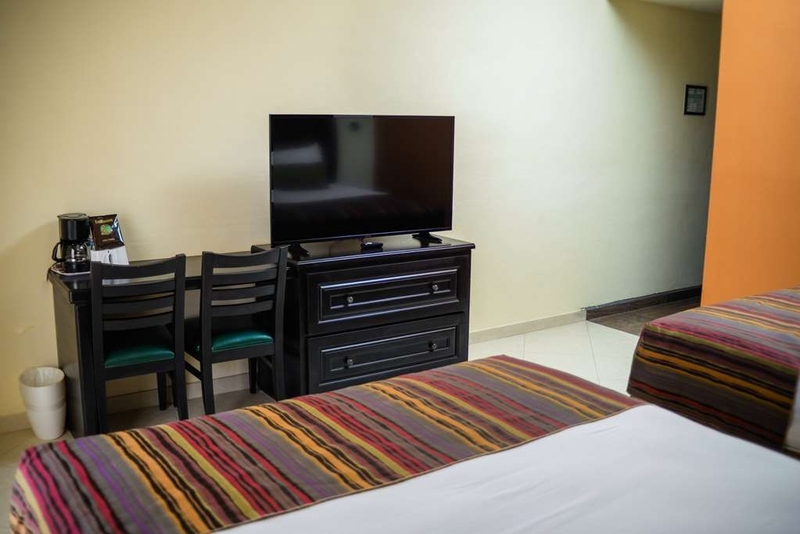 A lot of the rooms here have been recently upgraded, and are beautifully modern and clean. When we were last there (middle of October 2017) they were upgrading the beautiful pool, and doing some outdoor work as well. They also recently opened a restaurant, and while I think the prices of their food and style of their food definitely caters more to American wallets and stomachs, it looks very nice and is a good place to have a drink and some upscale appetizers. Overall I would highly recommend this hotel for families and those who are looking for a more budget stay. We don't have kids and this hotel is very family-friendly, but it has never bothered us. 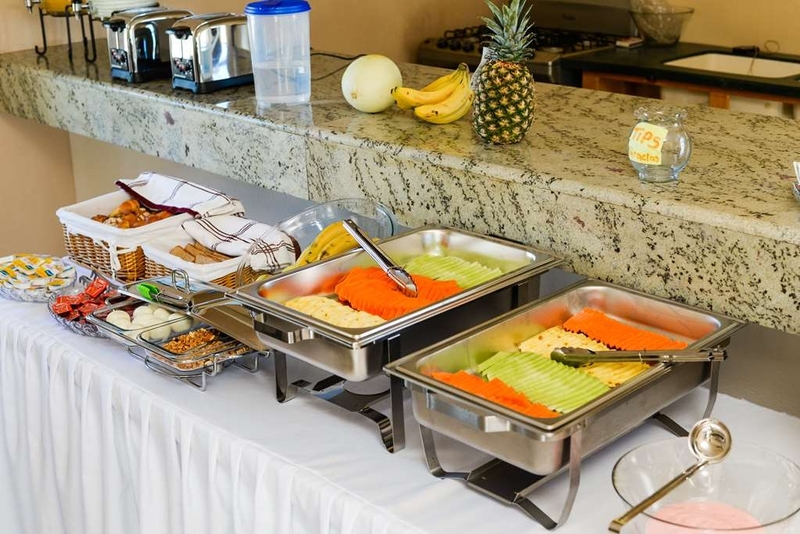 There is also a great breakfast included in the morning with eggs, tortillas, sausage/chorizo, fresh fruit, yogurt, and some cereal/juice. The breakfast is cooked where it is served so you can see how everything is made. We for the first time decided to spend Christmas in Mexico. This was the perfect place, quiet, peaceful, not too crowded. Although the resort is a block off the beach, it feels just like your there. All it takes is a walk across a quiet street, and a stroll through some sand and your there. 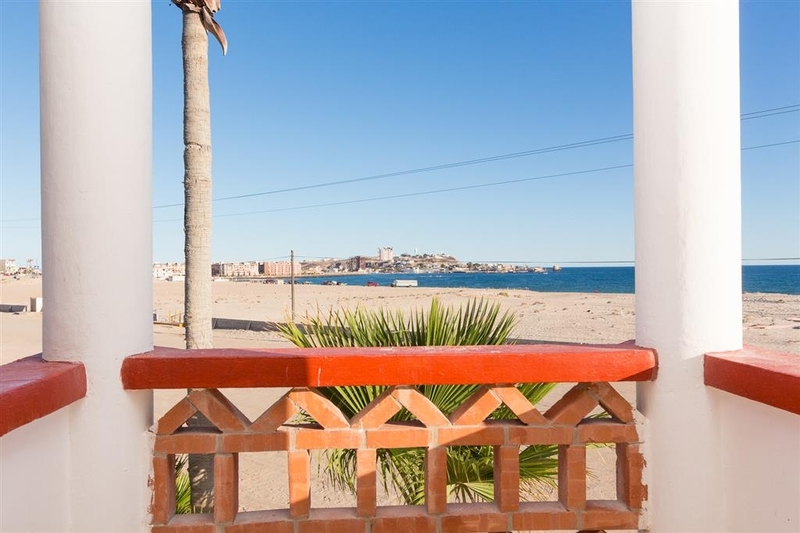 "Great deal on a budget"
My family and I had never visited Puerto Peñasco before and we were always told great things about the area. We found the Best Western to be a great value for it budget. Our room was very nice and clean, we had a great view of the ocean from the balcony. The Continental breakfast was very good. The hotel staff was very friendly. We would stay there again the next time we go visit. I went to this hotel on a travel trip, and stayed for only one night, the hotel is ok, the rooms are spacious and clean, it seems that they were updated recently and were fine. The continental breakfast was average. The personnel were helpful but not very efficient at the check in and check out, the WiFi was terrible, it was better without one. I was expecting more from the Best Western brand, but for the price and my kind of trip was fine, I'm not sure I would stay there for a family vacation. Just stayed in this Best Western it was clean and a good place to stay they had a good breakfast every morning the staff was nice and helpful. 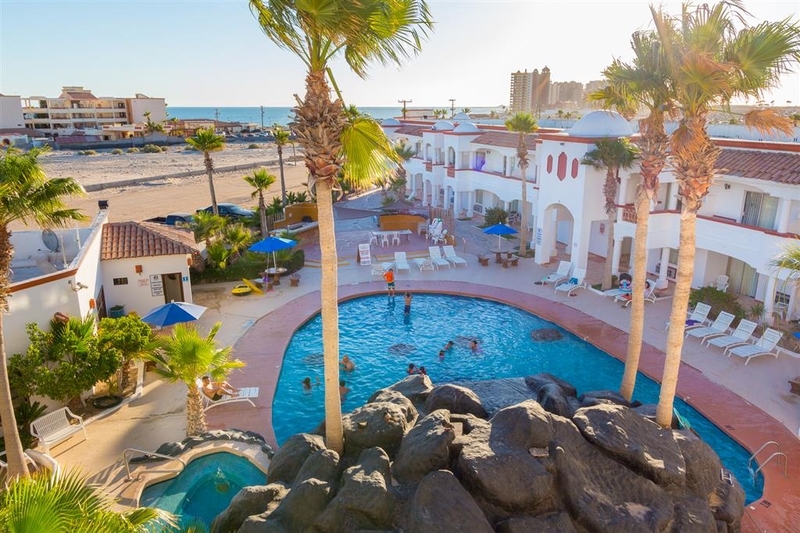 I had a good stay at this Best Western and will for sure stay again next year for the Rocky Point Motorcycle Rally! "Not Up To Best Western Name"
NEVER WILL WE STAY HERE AGAIN!!! Our room smelled like urine, gross sheets, towels, etc....We only stayed here due to friends wanting a cheaper room....let's just say, yes A CHEAP it was!!! I'd rather pay double and have a nicer room next time. "Nice place but don't expect resort"
Staff were very friendly and helpful. Rooms were clean but no decor. Don't expect it to be a fancy resort but it was clean and comfortable. 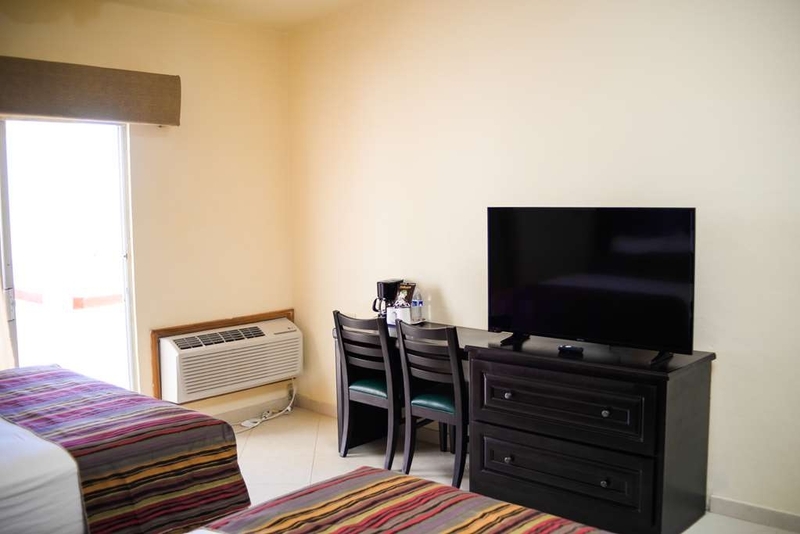 You pay a cash deposit for the keys and remotes to the tv and ac unit and get that back at check out provided everything is ok with your room when you check out. Breakfast was cooked fresh and there was quite a bit of a wait while it cooked. Excellent beach access! Good hotel near the beach, very clean and safe. Nice amenities. Don't drink the water. Good price. Close to everything and beautiful views. Secluded and private, if you want. Nice area, off the beaten path. There was no value for the price paid and this is not up to the quality of what I would expect for a Best Western hotel. The overall structure was nice but typical "Mexican" a lot of things in disrepair but very clean - Internet is virtually unusable except in the lobby, Oh and Scrambled Eggs and Weenies for Continental breakfast along with "Tortilla Slop??? ". A long walk to the beach. The Puesta Del Sol Restaurant across the street had great seafood at a good price and is a short walk. Staff was friendly and accommodating! Room was clean. Wifi worked well in the room. Breakfast is only served between 7:00 am and 9:00 am, which is a little too early. Would definitely stay again and recommend to friends and family! "Just steps from the beach: comfortable room with pool"
Hotel lobby is nice, they provide coffee and at times fruit. Checking in was good, but room was not ready until 3:30pm. Nice room, excellent a/c! wifif was good. Pool was nice, and warm. Complimentary breadkfast with scrambled eggs, sliced fruit and just bread for toast. Do not drinkt he water from the room. Bottled water was not provided, and I had to ask for two bottles. We purchased more water for our use. We arrived in PP mid afternoon. It was our first visit in about twenty years. Things have changed dramatically. We had a very hard time finding this place mainly because we were asking directions for the Best Western Laos Mar. We should have asked for the Laos Mar. It is at the start of the road out to Cholla Bay, the Sandy Beaches, etc. There are plenty of signs once you are in the right area. Front desk understaffed, friendly but slow to check in and out. The room was basic and just fine. Good firm mattresses. The shower was ok but a little hard to adjust. There is a sign in the lobby indicating that many rooms are being remodeled. The parking lot is not paved and this is a good thing. In the summer the heat from asphalt would be fierce. There is a good pool and since there were many families here it was heavily used. The wi-if didn't function in our room. The desk clerk said the particular connection serving our room doesn't work with iPhones and they can't figure out why. We used the lobby which is just fine. Breakfast is included but not great. Scrambled eggs, toast, refried beans and two choices of cereal. Juice but not fresh. Coffee. We'd skip it next time. The hotel not the best. Pool was crowded with no bar. Waterfall not working. Lots of young kids under 10. Not on beach like other resorts. But a short walk. A/C was loud. Nice newer large TV (but who sits and watches TV in Rocky Point?) If you want to save money and not be at hotel much this is alright. But reccommend to spend a little more and stay at a resort. Playa Bonita looked Really nice. "First time staying in Mexico"
First time staying in Mexico so don't have anything to compare, better than expected. The staff is great. The beds are a bit hard and only one English speaking channel which is CNN. Overall had a great stay. "Laos Mar BW in Rocky Point, Mexico"
The hotel was good for the mid-week price of $75 per night. The TV was old, not a flat screen and CNN (who wants to watch the news while on vacation) was the only English channel. The room was spacious but not fancy. We didn't have hot water one of the mornings and the light above one bed was out. The water in the bath room was not drinkable (literally). 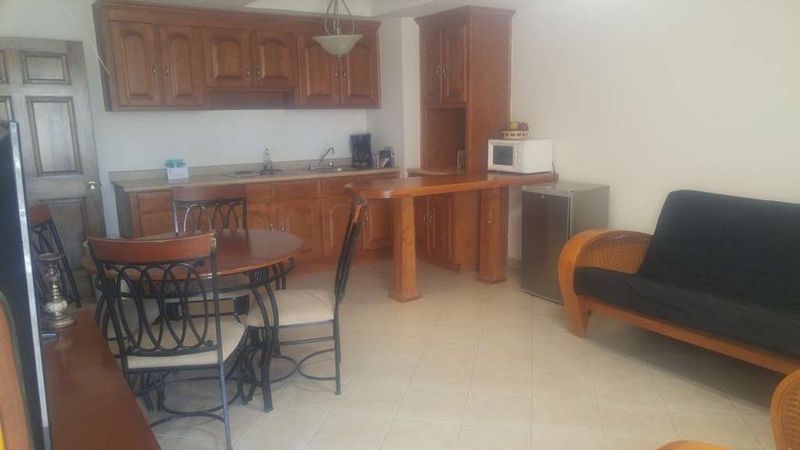 Other than the price, the location was great, just a short walk to the beach. So, booked here rather than the P del Sol as I was concerned about noise in the busier area of town. That didn't work out so well. The first night of our stay the band in the wine bar played LOUDLY until after 1am. Nothing blocks the sound from the bar section to the beach view section, so it was loud. At 1am I called and strenuously voiced my anger, frustration, and disappointment. My annoyance was colored by the fact that when we, paying guests of the hotel, went down to the bar around 10pm after giving up on sleeping, to listen to the music and have a drink, we found that it was full of salseros and chilangos or something who were definitely not staying at the hotel but who were treated much better than we were. Note, one of us is native Mexican, and the other speaks fluent Spanish and is mixed. So it wasn't a US v locals thing. It was something else. It was weird. Anyway, the music chilled out after my phone call, and they didn't have music on Friday night, then second night of our stay. Overall, the room was comfortable. The pool and beach view was nice. At first we had a room with a better view, on the far end of the hotel, further from the lobby. But that room had a non-functioning ceiling fan, and we needed that in combination with an AC unit that didn't have an inch wide gap letting in outside air. So we were moved to a room over the pool. Kids were in the pool ALL the time. Well after the closing time. We never went in the pool. Fairly small for all the splashing going on, but if we had brought the kids it would have gotten use, I'm sure. They seemed to be having fun. Lame not having bar or food service at the pool though. I had thought there would be a fridge in the room. Nope. Only in suites. We were told by the maintenance guy that worked on the fan in the first room that we could get one. But that never got passed along and then when we asked at the office they said it was impossible. So we had room temp water. Not a huge issue, but I would have been more annoyed if I had kids with me. Comfortable bed, good pillows. I liked having the ceiling fan. We ended up sleeping with just the fan, it was fine. Weird water pressure in the sink until we talked to the housekeeper and she went under the sink and adjusted the valve. Good hot breakfast and surprisingly good coffee (no cream, we used milk from the cereal). Easy walk to town along the beach. Can't walk to malecon, take a taxi. If you go to Choya Bay, note that the pavement ends at the new construction and you will be on a sand road that may or may not be super bumpy depending on if you catch it before or after the occasional road grading. Service as a whole was lame. We were almost never greeted when entering the lobby. Housekeeping staff was nice and friendly. Breakfast staff was neutral. There were many, small, but many, maintenance issues. They aren't all that concerned when issues are reported. Care is not taken, apparently. There were workers restoring an outer wall, but day to day maintenance seems a bit neglected. There might be the one guy for the whole place, no idea. Note that it is a beach facing hotel, but it is set back. You do have a lovely beach view if you're on the beach side. But it is a bit of a walk to get down to the beach, more of an issue if you have kids. VIEWS This hotel is placed in a nice area. The beach views are beautiful but only one side of the hotel. The other side has a view of the desert. SLEEP QUALITY It was nice and quiet. The walls appear thick so they don't transmit too much noise. The sheets appeared nice and ?clean. I think the mattresses must be too hard. My back was in extreme pain! BREAKFAST When we had breakfast, we realized that you have to get there early. They had delicious chilaquiles, eggs, fruit, sausage, and breads. The first day we were there early and really enjoyed the breakfast. The second day they were out of eggs, sausage, and most of the fruit. We asked if they were bringing more food and they said it was all gone. It was only about 8:30 AM. So we really only had breads to pick from. No protein. SERVICE Everyone was nice but when I tried to check in and tried to check in, I was asked to wait a half hour to check in. I did, but then there was a huge line and everyone that walked in that they knew walked right up to the counter and they helped them first, regardless of the line. ENTERTAINMENT There is not much for entertainment plus out TV only got very staticky chanels. We were going to stay an additional 2 days but chose to find a different hotel due to my severe back pain and the "free breakfast" being a gamble. I literally had to go into town find pain meds and buy a different breakfast. "Service - fast to promise - and slower to deliver"
Our room was a suite on the lower level - very basic - and in need of ongoing maintenance. Curtain Rod falling down by the bed. Fan in the sitting room was missing a pull cord to regulate the speed. Air Conditioner squealed loudly after running for 15 minutes. The "kitchenette" was lacking supplies and marginally clean. Calls to the front desk were met with promises to send staff/workers to fix, or to bring supplies - however that wait was extraordinarily lengthy. Hot breakfast was average - although plentiful. Fortunately there was a hotel within walking distance that offered a good restaurant and a nicer environment. The location was decent - beach was a short walk across the parking lot. We did not get sick on the water or food - but we would not choose this Best Western for another stay. Our room was very nice, comfortable. There is no elevator so we seniors had to be on the first floor. No view. Appreciated free wifi and good breakfast included. We will stay here again. Don't miss Lucas Chicken Shack. I thought everything here was very clean and it was awesome that it's right next to the beach! It's less than half the price of las Paloma's and definitely not bad at all. Everyone was nice, I do however wish they had the bar next to the pool going because I wanted to party all day. #springbreak but not a problem. It's not far from the clubs and bars, they have taxis waiting there for people who need it. I was seriously so shocked by the quality of this hotel! This hotel, had no Bar, Restaurant, Ladies hair dryer. I asked for an Ocean View room but all these rooms were on the second or third floor with no elevator. I am 81 years old and was not about to lug my suitcases up the stairs. The breakfast was adaquate, the room was clean but there was no atmosphere around the place. We managed but would never stay there again. Best western should remove their name from the doors. It's an older property, well worn but, rooms are being renovated...ours was done and was just fine, better than Motel 6. No fridge in the room so bring a cooler, bags of ice are free. The mattress and bedding were very good, appeared to be new. 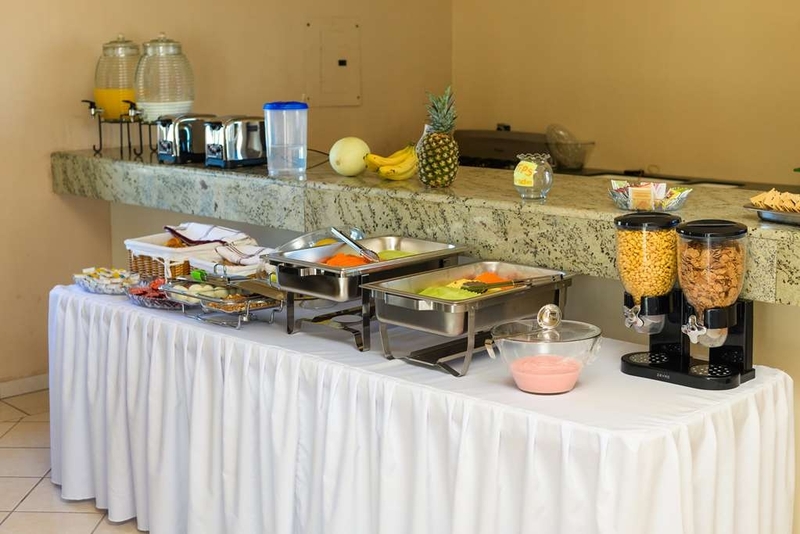 The continental breakfast was nice: variety of fresh fruit, yogurt, juices, cereal, toast, scrambled eggs and ham, hard boiled eggs, cheese, pastries, and excellent coffee. The beautiful beach is right in front of the hotel, across the road. There is a good restaurant & bar across the road, adjacent to the Playa Bonita hotel and Frenchys restaurant a 10 min. walk away, Dukes about 15 min. Everything else is a fair distance distance... Taxies are available costing $1.50 to $2 per person to town. 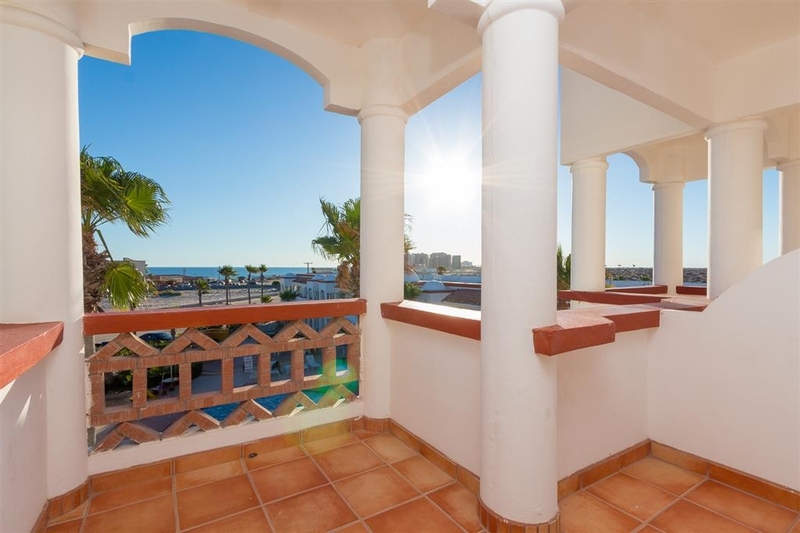 Rooms 214, 216, 218 etc have balconies overlooking the courtyard, south facing with great ocean views. We had an amazing time at Rocky Point. Everyone from the staffing everywhere we visited to the locals were awesome. A very delightful and helpful community. I can't wait to go back and someday hopefully never leave! "Great value and location for the price!" I really liked this hotel. The grounds/lobby were nice. The pool and hot tub were also really nice. It's a short walk from the beach, I could actually see it from my balcony. The room was very simple but it was comfortable and clean. The only two things that I would recommend they improve is it would be nice to have some access to American television and they need to do a better job making sure everything is in working order before a new guest checks in. There were two lights totally burned out in my room. The location was actually really perfect for me b/c I had friends staying in Las Conchas. It was 10 minutes from Capones (my favorite bar on that side of town) and 10 minutes from the Fish Market. There was a bar/restaurant attached to the hotel but I didn't try it so I can't review that piece. It was an affordable hotel. It was clean and was able to check in early. Walking distance from the beach. Our room had a beach view , beautiful sunrises and sunsets . breakfast was included with our stay. the lacks of breakfast variety, mattress terrible not to comfortable hard as a rock, and the TV show or channels not to clear. I think the difference needs to change as soon as possible because that came from customers I have dealt with. However the workers on the front desk and the cleaners to the kitchen server quite polite and welcoming. what I go back to the same hotel anytime soon, I will have to really thing about it. Pre-Paid on hotels.com EXTRA for an ocean view, it was shoreline. When we checked in the clerk tried to charge us double in CASH (cash for the difference) even though he confirmed we pre-paid in full via hotels.com & our room was available. Then he said it didn't matter all the rooms were the same price, funny the hotels.com website & the Best Western Laos Del Mar didn't state this nor offer the rates this way otherwise I would have chosen a poolside room. Our room hot red sauce on the pillowcase which did NOT get changed ALL WEEK! GROSS! The WIFI did not work & the TV was only static. The lights bulbs were missing above the bed&from the ceiling fan. Cords were not long enough to turn on/off the fan/lights. Maintenance did politely come 3 days in a row to fix the A/C & finally cleaned the filter. "Continental breakfast" only served for 2 hours 7am-9am. Only 1 staffer refilling it & only one 4 slice toaster. The 1 breakfast self serve table was dirty, no juice, warm milk, we personally kept requesting refills,etc there was a tip jar & sign in sheet SERIOUSLY for what? She was the only grumpy staffer& I don't blame her. The wine bar was not open it was just a small outdoor room with empty dusty wine bottles. No disabled facilities nor accommodations. The elevator did not work. The laundry room washers & dryers did not work. No lights in the parking lot which was just a beach sandlot. Only saw the security guard once to tell everyone to leave the pool at 10 pm on Wednesday night. Was not comfortable with parking lot nor leaving our belongings in the room. Alot of construction in progress & roped off areas with construction staff in non-construction areas. Not near ANYTHING! You have to drive everywhere period. Each day had to physically look for a maid & request our room be cleaned & then it still wasn't done. Everyday had to personally find someone to trade our dirty towels for clean ones & told not for pool use. Short walk to the beach. But the staff was overall very friendly & most of them spoke perfect english. Best western Laos should plan better to accommodate ALL guests & work on your honesty policy regarding charges, doubling rates & requests for immediate cash or no room even though you just stated you have my pre-paid reservation in the system. Really disappointed! 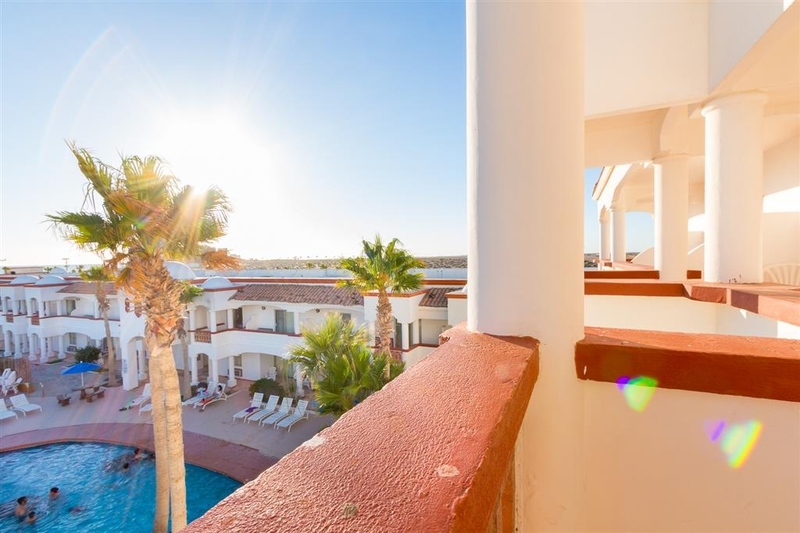 "Great value & impressed.Ocean 2 minute walk.??" After reading reviews prior to going we were worried,but were pleasantly surprised once we got there. 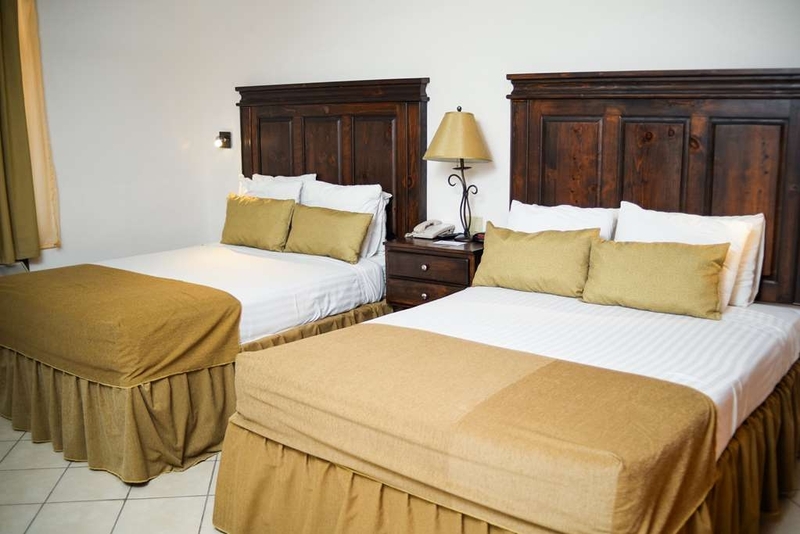 The staff was very nice, clean hotel, and most of all convenient location for a great value. It is literally 2 minute walk to the beach. The fan & air conditioning in the room did work. There is free parking, Wifi & daily continental breakfast.Security at hotel is visible & we always felt safe. Taxi service is very convenient & cheap and will take you to El Malecon which is where shopping,pharmacies,bars & seafood restaurants are located. The taxi ride will run you about $2/ person each way. On the beach you can go on a banana boat for $5, rent a jet ski for $40-$50.Just make sure not to prepay for boat rides, sometimes they get cancelled. Just show up @ take off time & buy tickets there.If you love seafood,while at El Malecon center we recommend (Aqui Es Flavios & Mary's). Not in El Malecon, but a good place to eat is Al Capons.Overall great value for price & will return & recommend. Hotel was a great value for the price. 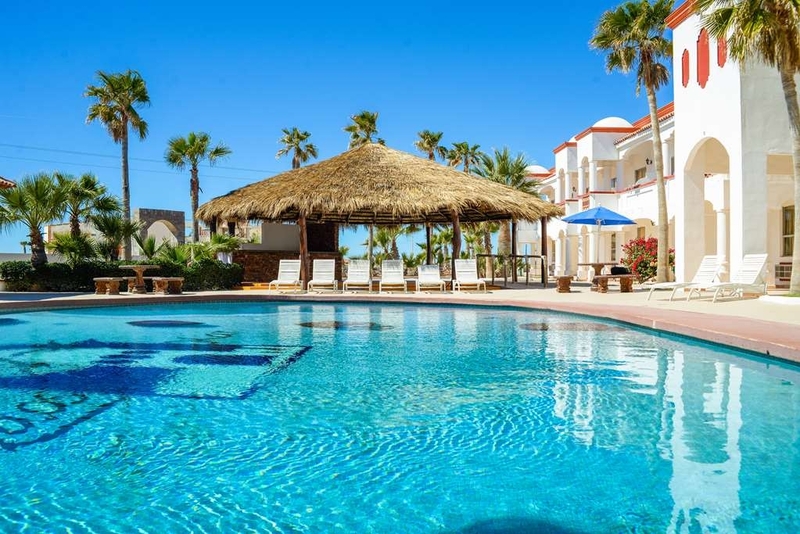 Currently being renovated, but still a fine place to stay in Puerto Penasco. Very friendly and attentive staff. Room was very clean! I will stay here again in the future! Pros: Price, staff, cleanliness, proximity to attractions. Cons: No mini-fridges, microwaves in rooms. "It's just not quite. " Th continental breakfast included is uneventful. It is not located directly on the beach but currently nothing is built in front of the hotel so you can see the Sea from the balconies. The pool could be unique but the waterfalls don't work. The maid forgot our towels on our 3rd day and I had to ask 2 maids n the front desk to get towels...it was probably a accident. Beach is very near the area. Pool was clean. "El Tapeo Bar" is a great option if you want to stay in the hotel on a friday or saturday night. Staff is friendly and helpfull. Location is really conveninent. "Our Stay at Best Western Laos Mar Hotel & Suites"
Pros: 1. The location is perfect. Cons: 1. The front desk staff are unfriendly and unhelpful. 2. Even though they have your credit card on file they extort a $20.00 cash deposit for "room damage". 3. They provide one small ice bucket in the room but make you purchase a large bag of ice for $1.50 so you have to throw away 3/4 of the ice. 4. they provide one drinking glass for three people. 5. The television is an antique small screen and the remote didn't work. 6. Towels were not provided in the room and it typically took two trips to the front desk to get one for each person (there is no land line in the room). 7. The air conditioner worked well but sounded like a freight train in the room. 8. Wifi was weak and only worked intermittently. 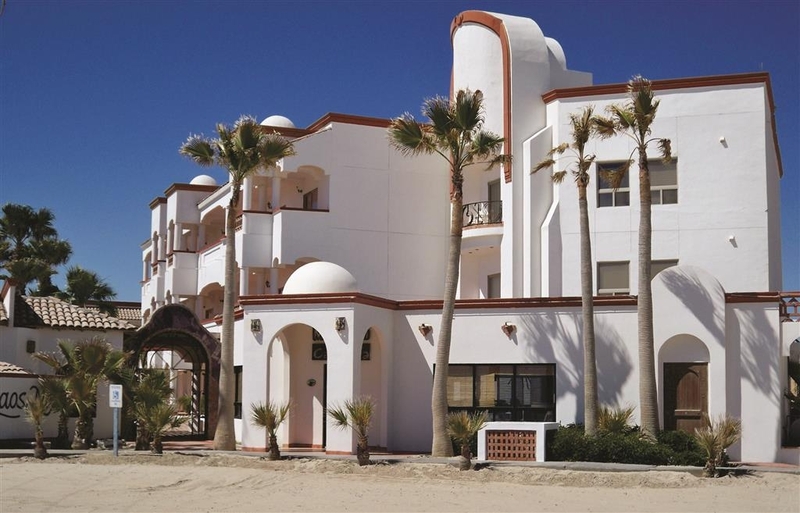 "Great, and affordable, location for Circus Mexicus"
Went to Puerto Penasco for Circus Mexicus. Attending was a late decision we made and all the discounted rooms at the closer resorts had sold out. Laos Mar was available and reasonably priced (~$85/night vs $200+ at Palmas, Palomas, etc). The rooms were comfortable, clean, and well-maintained. It is also within walking distance of Banditos and the Sonoran Sun stage area (a little under a mile) if you walk the beach. However there were ample cabs running and the front desk could have one at the door in about a minute or two. If you're traveling there for RCPM and CM, I highly recommend Laos Mar. The only complaint I had was their breakfast was a bit spartan, but we were only there for a couple days and had planned to eat in town most days anyway, but if we were there longer it would have gotten very old very fast. Very dirty rooms, broken door locks, unlocked sliding door,(someone walked in on us) minimal towels for the bathroom, no wash clothes non hand towels, no towels for the beach, no internet, wrong room at check-in, the wooden box that was the platform for the bed stuck out so far that we hit our legs on them, the second room we were in had a sharp coil from the mattress sticking out that cut my leg drawing blood. Front desk was in a very poor position and have zip to work with, felt sorry for them. "Sleeping on the beach is a better option..."
Let me start of by stating that this was our third time visiting this hotel in the last five years. The years past were ok but this time it was just horrid. Rooms: We booked a 3 night stay for family of 4 via Expedia. Paid online and made reservation online too. We get to the check-in counter and the clerk ( Mexican guy with glasses) tells me to pay for the room. I advise him that I had paid online and he gives me grief. After a few back and forth discussions, I bring up my Expedia receipt. He finally gives us our room. He gives me a room on the first floor. Later I find out this "payback" for our argument. This room is right next to a bar and next to a hallway door. All night, people coming in and out. Drunken teenagers yelling. The bar's live band was loud as heck. The beds are like sleeping on plywood boards. The linens are grungy and the towels were stiff as a board. Pool: last time we came there was a cascading pool. This time, no cascade. The pool was always dirty and one night my son found a used condom wrapper floating in the pool. The hot tub was also dirty. Bottom line: Do not stay at this hotel. There were people camping out next to the beach about 5 minutes away. Those tents seemed like a better option rather than staying at this hotel. Service: Other than the front desk attendant who I think tried to make us pay twice for the room, the service workers were ok.
"Very bad - 60min check-in - loud band til 1:30am ! We cut vacation short !" 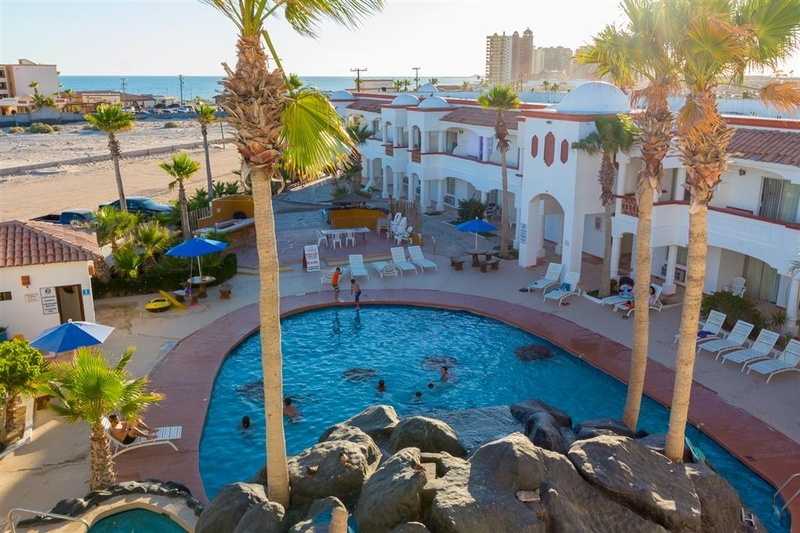 I've been to Puerto Penasco (aka Rocky Point Mexico) many times. It is a 5.5hr drive from home. We made reservations for Wed. through Sat. nights. Upon arrival it took 30 minutes at the front desk (even with no line). Then it took me 3 key-cards and 3 trips from our room to front desk before we could get into our room. We saw the absence of any TV. Another trip to the front desk. 20 minutes later they brought in a TV. Okay, an hour to get into our room; very poor performance, but that was the start of our vacation. We tried to overlook it. Our Wed. and Thur. nights were uneventful in the hotel after 2 very nice days around town. Then on Friday night a very loud live band started playing less than 100 feet from our room in an adjoining room of the hotel. Every other hotel on Sandy Beach and in town stopped their in-house bands at 8pm (we had talked to a number of other tourists). But Best Western Laos Mar hotel was playing at full volume and we could not sleep. I went to the front desk to complain and was told there was nothing that they could do about the noise. That was 12:25am (after midnight) and it was impossible to sleep. The clerk said he'd add my name to the list of complaints (I assumed many other hotel guests had noise complaints too). I went back to my room and the band stopped. But after 10 minutes they started up again! It wasn't even a good band. It sounded like screeching cats fighting! At 1am I called the front desk and asked them to call the police. He said they would not come because the restaurant was a separate business. I asked for an outside phone line so that I could call the police but he refused. It was 1:30am before they finally stopped. The next morning (Sat.) we packed up our stuff, loaded it into the car and I went to check out. I demanded a refund (we'd had to pay in advance at check-in). He first offered less than we paid. I said no I wanted a FULL refund for at least the last (1 of 4) nights since we were not staying with all that noise. He had to ask the manager(owner). He ran a credit to my card for that one night. On our way out, we spoke briefly with one of the staff who told us that the rock band was the owner of the hotel and that's why nobody could do anything about it. We drove home. The next morning my credit card company called - it was their fraud alert department. After many years of no trouble and great care on my part, someone had stolen my card info and charged over $1000 for an airline ticket (in the USA and many miles from Rocky Point). It seems very coincidental that the first and only time I used my card for months is when we have a bad experience at the Best Western Laos Mar Hotel in Mexico and the next day there is major fraud against the card number that I had just used at that hotel. Overall the hotel was decent. The breakfast only had croissants and cereal (which the milk was warm) and old brown bananas. On Saturday we went around 7AM thinking it might of been too early and were barely setting up, so instead we went to a restaurant. When we returned Sunday we asked if they could bring out fresher food since the croissants were stale and the food looked as if it was left out overnight, and the staff replied "We came too late, there will be nothing else brought out for the day." They also advertise "Free Wifi", which has the worst connection. "For $1 more we could have stayed on the Beach"
Playa Bonita is on the beach across from Los Mar. We will stay there next time for the $1 per night extra. Be aware of the exchange rate. I was quoted $65 per night by Best Western. When we checked in it turned out to be $73 due to the hotel's poor exchange rate (15 pesos per dollar). Then they charged us the standard 18% Mexican Hotel Tax on top of that. PS - the normal currency exchange rate was 17.2 pesos per dollar so the hotel really rips you off. Disappointed! I made a reservation for 2 nights and I was told they would be charging 1 night to hold the room. I decided to stay at a different property so I canceled my reservation 1 week before my trip and until now I am still waiting to get a refund back to my debit card. Now it turns out there is a small transaction on my debit card 2 weeks after my trip so I had to cancel my card. I'm not sure if it's related but I'm not very happy with the service. "Not a Best Western quality hotel.."
My experience was bad, the hotel looks nice, but the man in the front desk is rude. The tv is old and small and they just have 6 channels. My experience with the services in the website of Best Western it was very good. I have stayed at many nice Best Westerns but this one is not of them. Employee were nice but it's clear the owner or manager does not understand what Americans are looking for in condition and cleanliness. The good: The location of this hotel, 500 yards from the water's edge, could not be better. It's clean, and the staff is friendly. We had an ocean-view room, and the view is spectacular. The bad: 1. the hotel ran out of water -- RAN OUT OF WATER -- while I was washing my fiance's hair. I ran down and they were like "sorry; we are out of water, and it's gonna be an hour." We had to walk down to the OCEAN and wash out his hair! in winter! 2. no breakfast, and for the price, and because it's Mexico, we should get a full breakfast for the $60+ we pay per night. 3. it's extremely difficult to get to. We ended up using my GPS on my phone, for that extreme out-of-country data cost. They need to provide a decent map on the hotel web site. 4. the beds are HARD as ROCKS. They each consist of a thin mattress over a wood frame, and MAN are they hard. 5. the wifi is SLOW -- so slow that you can't stream netflix. :-( The bottom line: It's a decent-priced, mid-range hotel on the beach, and providing you know the downs ahead of time, it's probably worth it. I don't know if we will stay here again, but may instead watch for the resorts' specials. The trip began by the front desk telling me that they had not received our reservation. When I got out my computer to show them the res, they "found it". They then tried to charge me for $15 over the amt I booked for. They said it was because of taxes and fees. I said that the booking included ALL taxes and fees. They then said that it was BW's extra charge for booking on a site other than Laos Mar direct. Tired, I settled for $9 over the booked amt. They then put us on the 3rd floor with no elevator. Sparsely occupied, no one else was on the floor so it didn't bother us as it had a nice view of the beach. The room was nice but rather dirty and warn and the first night was cold in December. They had given us the wrong remote for the A/C but quickly provided the correct one. Stained comforters and smudges on most surfaces. For the 5 nights we stayed, they did not provide water or towels for 3 of them. Breakfast was minimal and on the last two days we had only one option for cereal (sugar puffs--ugh.) The hotel was located well as it was about on the beach and close to the Malecon, but for just a few dollars more, we could have been at the Playa Bonita with a heated pool, right on the beach next door. While staying in a hotel, especially a major chain, you expect a certain amount of security. My bank card was stolen out of my wallet that I left in our room. I have absolutely no doubt that this is when it was stolen. It was the ONLY time I left my purse unattended. I had not used my bank card at all for several days prior to entering Mexico. "Good hotel for an affordable price"
This was our first visit to Rocky point. We were a group of 4 students travelling from Phoenix, AZ. As any student would do we were trying to find the cheaper hotel at the best location possible. And this is one of them. Its very close to beach and ATV rentals. The ATV's were super fun until we met with and accident. So drive safe. "Many changes have been made for the good!!" Our off road race team, Wide Open Motor Sports, have stayed here many times and I have to say that this past weekends short stay, we noticed many positive changes. We too have had many of the same complaints as reviews posted but if you are in need of a inexpensive, clean and safe hotel close to everything, then this is the place. WE have noticed new towels, sheets, pillows, coffee makers and the rooms are much cleaner than they have been in the recent past. The shampoo and soap provided were much more plentiful as well as hand /face towels. The pool/Jacuzzi were clean as well as the parking lot and patio area. My only complaint was the continental breakfast was not that great this time! Hit and miss! THE POINT RESTURANT (on stilts!!) at the fish market has good food with good prices. 2 day trip was great; hotel was clean just lacking some of the amenities, were there now gone that most of the none resort everyday Mexico. What kind of life would it be with no local life experiences in any country. "Not bad for the price in Mexico"
Nice and clean. Everything in the room worked except the TV remote. And, only one channel in English. Beds very clean and comfortable. Breakfast was very adequate but very small room. So if weather does not allow to sit outside it is quite crowded. We did not get a room type that we reserved, sea view with balcony. The desk clerk said none were available although we checked in just after check in time. Its Mexico so there is no reason to try to argue. Our reservation was non-refundable so we had no choice but to accept the room assigned. We were the only guests there, I believe. Room was clean. Beds were horribly hard. We had brought air mattresses to put on top, which helped. Hard pillows. No towels, washcloths etc in room. My husband went down to the front desk and they said they would bring them up. Hour later, still no towels. He then gave my husband pool towels instead. It worked, mostly. We only there for 3 nights. Quick trip. But I would not go back. It was quiet though. Kind of weird to be the only guests in that whole hotel for all the nights except one. There had been a big event the weekend before, so maybe that is why no other guests. I think that was a first. "Our revisit to Laos Mar"
We are not looking for fancy but clean. The grounds were nice and the pool was sparkling which I realize is not easy in the humid weather. The room was comfortable and the air conditioning and WiFi worked perfectly. That said, this was our second stay. They upped the continental breakfast in presentation and offerings which was a huge improvement. The first time we stayed the tub was filthy with soap scum and dingy. We complained and it was "cleaned". We ended up wearing our flip flops in the shower. This time upon arriving we threw back the bed covers and one bed had 3 types of hair; long brown, short black and a pubic. It was changed within 5 minutes after we reported it but the maid was not happy. After she left we looked at the tub. Not having the courage to complain again, I got some non abrasive bleach scouring powder, a scrubby, gloved up and cleaned it. We left the tub in better shape than when we arrived. We like the hotel and the convenience. I would just like the assurance that the linens were changed and a clean tub. This hotel was walking distance to the beach and my son had fun in the pool all week. The continental breakfast was busy and lacking to my taste. The wine bar had live music on the weekend and very entertaining. 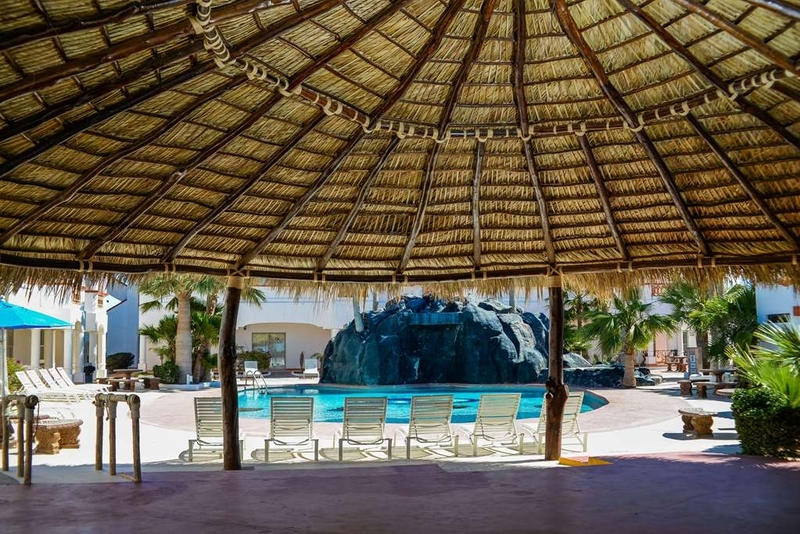 We have traveled to Rocky Point many times through the years and realize this is Mexico. Our stay this time was noisy as the wine bar next door was hosting a private event that didn't close down until after 2 a.m. The second night was more peaceful. The room appeared clean and beds were comfortable. Our complaint was the tub had a black ring around it. We asked for another blanket and the tub to be cleaned. We received the blanket and were told the tub had been cleaned but it wasn't done properly as I could scrape the soap scum off with my nail. Nasty. Skp the continental breakfast unless you have little ones it is a waste. Gallon of milk, loaf of white bread with a toaster, small boxes of cereal, apples and bananas with weak coffee. We did get a swinging deal for our rate but definitely would not pay the posted rates at the desk. Overall the appearance of the hotel was good. Our chief complaints were 1 noisy night out of 2 and a dirty tub. 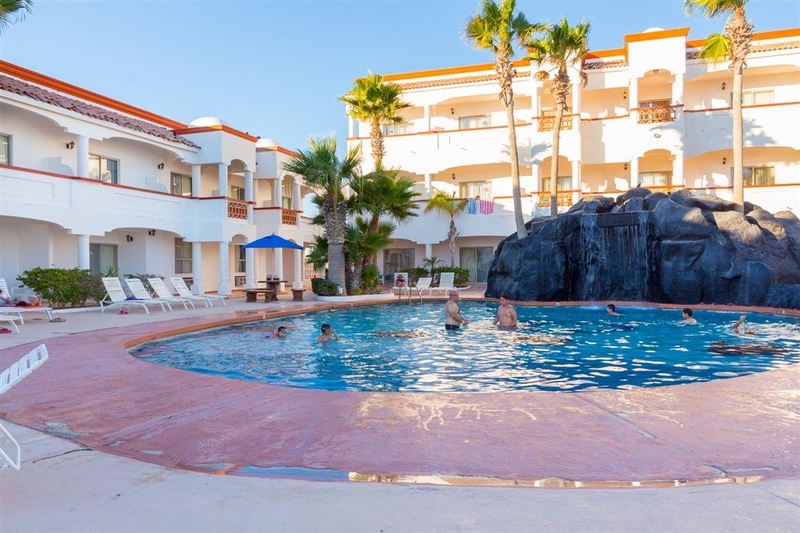 the hotel is very nice and well located by the beach, employees attitude super friendly. the only problem was that one of the beds in our room had stained pillowcases with blood unfortunatly it was our daughters bed and they did not said anything until we where checking out! gross. The water in the jacuzzi was cold. Booked in advance for three nights, small hotel with reasonable amenities. good for families. given a room with a balcony and sea view. Ordinary clean american style room. Ivan was very helpful on the desk and answered all our questions. Extra towels were provided by the maid and everything appeared to work. A couple of light bulbs were out but no issue.It seems standard in mexico that beds are made of a solid base, or concrete with a mattress making them uncomfortably hard. Continental breakfast, which continent I do knot know.Give it a miss, go into town.The hotel had a pleasing friendly atmosphere. At short notice I would revisit.